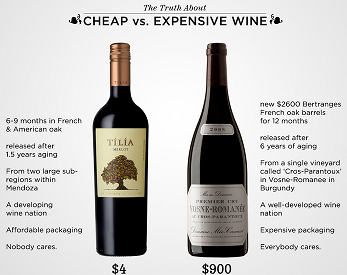 Of course all highly paid marketers end up buying Expensive Wines each time they dine. But than why most of the marketers are looking at the Cheap Video Content for their brands? Wherein for me obvious choice will be in favor of quality even though if it comes at a higher price. Last eight years I spent my each day between marketers who are die hard fans of Brand lead Advertising which helps developing emotional connect with consumers and has enough brand recall. But when I check various YouTube channels of top Indian brands, I find that same marketer are creating videos which hardly has any brand appeal or recall. I get amused that whether they are just ticking the boxes of brand KRA or trying to make their brand more relevant for consumers and to engage them? On other hand, marketers do realises that they need to crowd the web with more and more video content to engage consumers. But since they need to maximise marketing budget allotted for video creation, they achieve their motive by creating more videos in same budget and by compromising the quality of those videos. I feel problem is not with the marketers but is with the eco-system they operate in, where in advertising agencies do the creative of video and production company produces the video. Often creative idea is good but production agency owned by some youngster with no experience of working with brands and who is willing to work on thin margins ends up producing sub standard quality videos. I have also seen most of the advertising agencies tries to make good money in this process wherein they load 40% to 100% on the production cost of production house as their margin resulting costlier video to the brands. So the best way forward for marketers is to avoid ending up producing cheap quality video will be that they should look for large production company which has good creative bend and ability to produce videos in house. This will not only bring down the cost of production of videos but will also enable them to produce high quality videos even though creative fee which is being paid to agencies is passed to production company as video production cost.